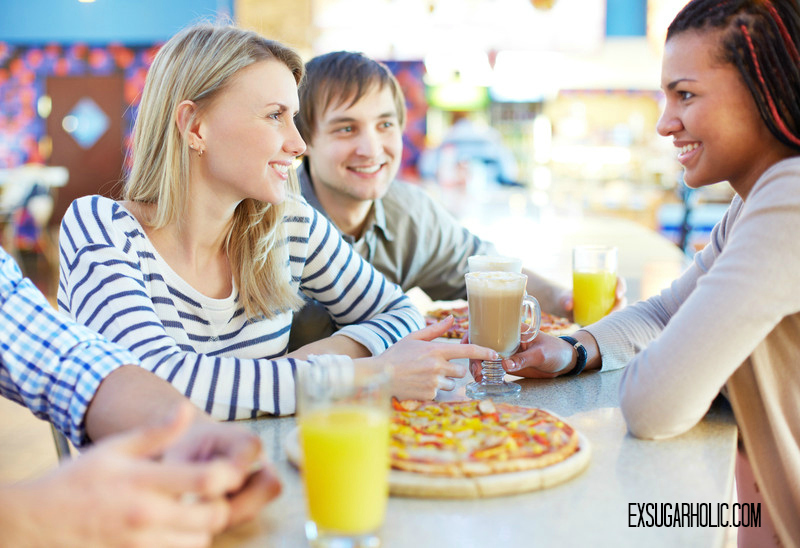 Visiting friends or going to parties can be a minefield if you have food intolerances, allergies or you life-style choice isn’t very common (i.e. sugar-free). Hopefully you have lovely and understanding friends who accept and support your new life-style choice (that would make this easier for you). Pot lucks are great as you just cook something that you want to eat, and then bring that (check out savoury ideas here on the blog). 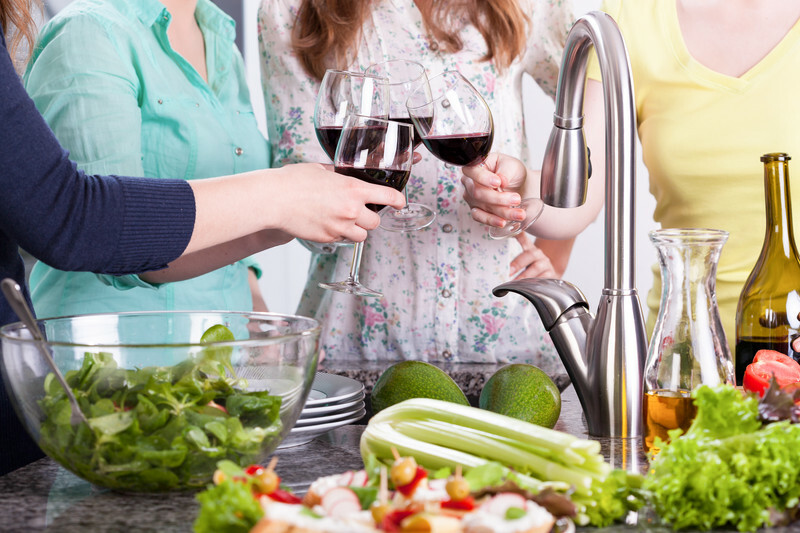 However, you might find that some friends might hesitate to invite you over for a regular dinner because it’s too hard to figure out what to cook for you. You can, however, explain to them that, main courses shouldn’t be too difficult. Home-made, wholesome dinners don’t often have heaps of sugar in them (with the exception of a few cuisines which has many sauces with higher sugar content), so I don’t usually fret about that (it’s far more likely to have gluten in it, e.g. pasta). Make it easy for them and say that you will bring drinks for yourself and dessert for everyone. When it comes to drinks, water is of course always best, just not as exciting as other drinks. You could jazz it up a bit and drink sparkling water and add slices of lemon and strawberry. If you are not too worried about the usual effects of alcoholic drinks on your body, just choose wisely (sugar-free or low in sugar) – keep an eye out for my post on drinks soon. Desserts and treats are the most difficult ones to deal with – they are after all meant to be sweet and sugary. I have dragged many recipes (which are now here on the Ex-sugarholic) to work with me and asked my very helpful ‘taste panel’ to rate them and give me feedback. My aim was to make free-from recipes which tasted just as good as the sugar-laden stuff (to ‘normal’ sugar addicts). This meant that I could still bring cakes and sweets to work, have friends for dinner or visit them and everybody satisfied and happy. That being said, I don’t actually eat sugar-free ‘treats’ very often. When your body and taste buds are cleansed from the sugar addiction you just don’t feel like it that much and I tend to go for foods which are just naturally sugar-free rather than recreating something I miss. But, I like to have the option so that I can choose. Have you got any questions? Please let me know. In the previous post we focussed on getting your home sugar-free, now, let’s look at what we can do about the abundance of treats which present themselves at the place we spend the majority of our wake hours during weekdays – work! 3) You don’t want to be rude if someone offers. “No thanks” or “I’m good thanks” (said with a smile) are the shortest ways of dealing with this (if you don’t want to spend the next 10 minutes explaining why you have gone sugar-free). 4) You don’t want to be seen as the odd one out and you want to feel a part of the group. At work, sugary treats are used as a bonding experience (the boss brings cake, going out for an ice cream, having a drink after work etc). 1) And 2) are eliminated when you have successfully withdrawn from sugar (you simply don’t feel like it). The withdrawal itself though, takes a while and it is hard work. I had almost uncontrollable sweet cravings, head-aches and mood swings to match a pregnant woman (now that I know what that’s like!). When I first went sugar-free, I felt a bit like Pavlov’s drooling dogs for the first two weeks whenever I sat in the vicinity of the sweet stuff. I crumbled a couple of times, but started resisting all the time with much difficulty. Then I started seeing the first benefits and gained strength and willpower from then on. After 4 weeks I noticed the ease of which I started to avoid sugary things and after 6-8 weeks I didn’t feel like it any more at all and reaped all the benefits of a sugar-free life-style. To make this as easy on yourself as possible, make sure that you bring a lunch from home that will fill you up. Just as important – bring snacks!!! Lots of safe snacks are critical for those in-between meal cravings or if you have just been to a meeting where there was a plate full of delicious chocolates that everybody else was scoffing down. Those first couple of weeks you may last it through the meeting, but then you might feel like secretly sneaking off to a kiosk or vending machine to get a sugar kick (don’t judge me, I was an addict after all!). So, look out for my posts coming soon on weekday breakfasts, lunches and snacks (easy to make in and suitable for bringing to work). I DON’T HAVE THE TIME! If you really, really don’t have time to prepare anything from home, educate yourself on the amounts of sugar in food and drinks available at, or near, your work. Ask them which of their products have no added sugar (or the least, low sugar) and are low carb. Give them a call in a break or after work if you don’t want to ask in front of your colleagues. Sure it requires a little work at first but then you get to know the menu/offering at you (new) fav places and can make informed decisions on what to pick. If you can’t avoid it, it’s definitely better to reduce the amount you consume rather than carrying on eating loads of sugar. 3) And 4) – feeling ‘rude’ and left out – unfortunately won’t disappear, you just have to think about how you will deal with it. I don’t explain anything to people that I only meet briefly, if offered, a simple “I’m good thanks” will suffice. With work colleagues that I worked with often, I started explaining that I quit sugar and why (health reasons, life-style choice). After that, everything became so much easier as they actually helped. They would stop putting cake in front of me and asking if I wanted muffins, chocolate (or whatever else treat was there that day). Although the “oh you can’t have this” popped up a few times – which really just makes you feel annoyed as you want at least to be asked if you want any. After a while though, it will become a non-issue for you as you and your colleagues get used to your new life-style (but they might still think you are a bit odd, but think about all the odd habits your colleagues have, I’m sure it’s no weirder in the grand scheme of things). However, if you don’t wan’t to explain exactly why you are doing this or really don’t want to be seen as being different, you could always just say that you are “watching your weight” or that you are “on a diet” – nobody thinks that is weird, after all, most people are doing it on/off which is completely accepted part of society (although, probably not very good for you). 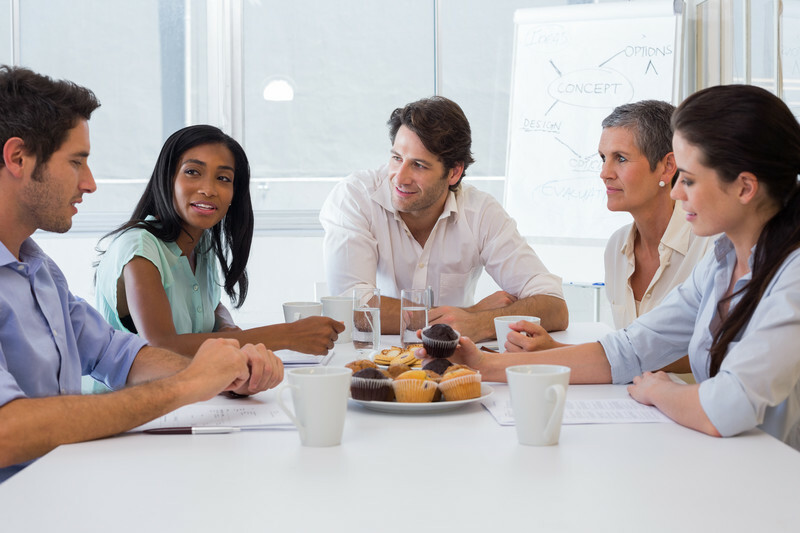 Why not make one of the recipes from my blog and bring to your next meeting (try the banana cake – I haven’t met anyone who didn’t like this). Sorted! If you have any questions, do ask away in the comments below and keep an eye out for the next post in this series. DIABETICS: Please note that the recipes containing glucose (including the following terms: dextrose, rice syrup and glucose syrup), as far as I understand, is not suitable for people with diabetes. Please see my recipes with no added sweeteners or just the natural sugar from fresh fruit. If in any doubt, please contact your health professional. Are you unable to go a whole day without eating anything sweet? Are you an emotional eater? Are your energy levels throughout the day like a roller-coaster? Do you NEED something sweet to get you going during the middle of the day, but then your energy levels drop again soon after? Are you unable to say no to people offering you treats? If you answered yes to some or all of these questions you are likely addicted to sugar. And who can blame you – sugar is added to most processed food these days. 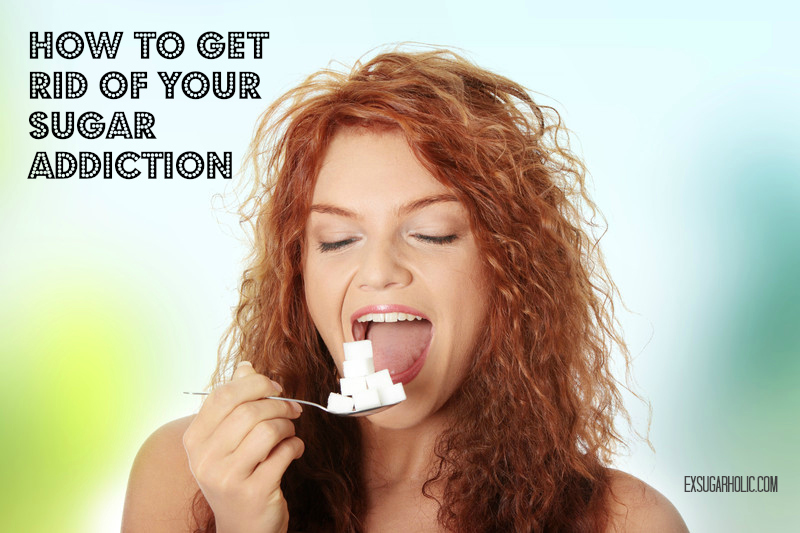 If sugar is as addictive as cocaine and tobacco, it is really no wonder that we get hooked! If you know that sugar is bad for you (if not, check out my last post) and you are ready to take the leap and become sugar-free, here are some top tips for kicking the sugar in a series of four blog posts 1: Starting out – at home, 2: At work, 3: Going out and 4: Visiting friends. Living on your own might make the start of a sugar-free journey easier than if you are living with someone. However, if you do live with a partner or have a family, I’d start out by getting them on-board first. If there is chocolate lying around, you might not be able to help yourself (unless you are one of those superhuman people who have an ironclad willpower). If you don’t think that this is a good option in your household, start this journey on your own but know that the sugar-free community is growing rapidly everyday, there is always help and support to be had if you know where to look (you could always start here, by following this blog by email or on Facebook). When the rest of your household witness the changes in you (For example, loosing weight, better skin, loads of energy and how much happier you are) they might be encouraged to join you on your journey. This is NOT another fad diet to try out, it is a life-style choice which will make you happier and healthier. Before you start whipping everything out of your kitchen, just make sure that you are prepared with sugar-free substitutes. You need to have alternatives ready for when you house is ‘clean’ and you are suffering serious sugar withdrawal (no, it’s not fun the first two weeks). Otherwise, you are setting out to fail. So, if you are new to this, I’d recommend saving the link to this series of posts and then go back and start here when you have read them all). I will be following up with posts about weekday breakfasts, lunches and dinners and how to prep in advance to make life easy. Now, are you ready to make a change? 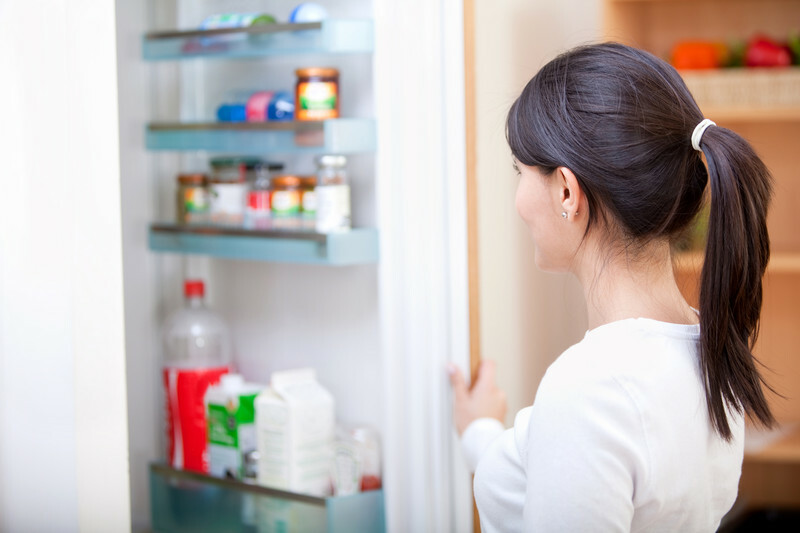 Start out by going through your pantry, make it a cool challenge, get your partner/kids to help. First, start of by binning the obvious ones, your regular sugar, brown sugar, powdered sugar etc. Then proceed to look at all the processed foods (check the labels) – has is got more than 5% sugar in it? (5 gram per 100 gram). Put it all in a pile on your kitchen bench. All the whole foods (oats, coconut flakes, seeds, nuts etc) are fine, only natural (tiny) amounts of sugar there. Don’t be surprised if your seemingly innocent cornflakes, toasted muesli or energy bars are crammed with sugar. While you are at it – remove all your (wheat/gluten) flours. Gluten and wheat are just empty calories which will be turned into sugar in your body. Then pull everything out of you fridge which aren’t whole foods (veggies, fruit etc). Look at the back of the labels and add anything which has more that 5% sugar in it (and wheat/gluten) to your pile on the kitchen bench (unless the sugar content it is not added sugar and comes in its original ‘packaging’, e.g. a can of apple sauce with nothing whatsoever added to it). Now, stand back and be amazed by the amount of food that makes up your pile (hopefully your fridge and pantry are completely empty!). How big was it? If it’s wasn’t much – congratulations, it seems you sugar addiction isn’t being fuelled at home (but perhaps rather when you are out and about). Decide what to do with your haulage of sugar but make sure it leaves your house or lock it in a box and burrow it in your garden with a note as a time capsule for your future self (kidding away, I would suggest actually throwing it in the bin so it doesn’t harm someone else!). Excellent. You have taken a huge step, now you need to replace all the sugary foods with sugar-free ones. The best way is to make wholesome foods yourself and not buy any processed foods since it’s ridiculously hard to find any processed foods which aren’t sugar-free (and it’s far better for you anyway). You don’t have to make everything from scratch though, use some ‘shortcuts’ if you want. Such as buying unsweetened chocolate (instead of making the chocolate yourself – in some countries it’s really easy to get, whilst in others like NZ it’s almost impossible to find), ready to use gluten and wheat free flour-mixes, unsweetened rice-milk etc). This is where the Ex-sugarholic comes in handy – browse through and see which recipes you like/need, then go shopping and get cracking on your amazing new sugar-free lifestyle. For weekday breakfast, lunch and dinner ideas and how they can be prepped in advance, please keep an eye on up-coming posts which will be focussing on these particular topics. 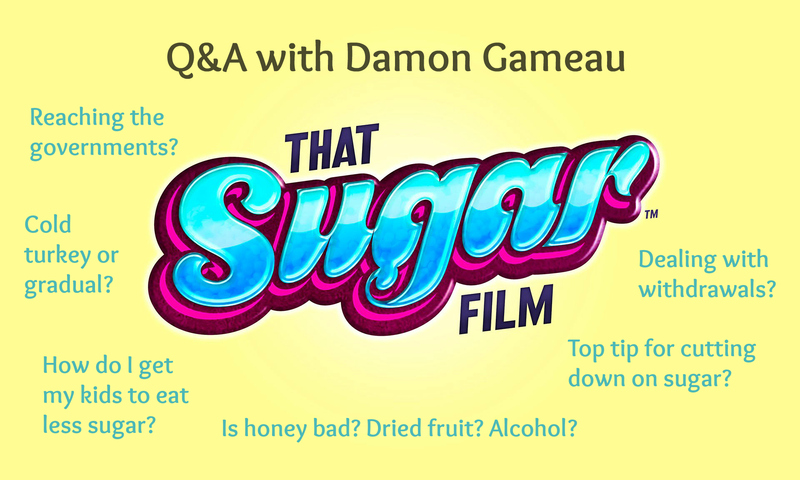 How you got hooked on sugar and why it’s so bad! It probably doesn’t come as a surprise to you that sugar is not really healthy. Right? But, what most people probably don’t realise is just how bad and addictive it is. If you are currently a sugarholic, read on! (and keep and eye out for my next post on how to become an ex-sugarholic). If you are already on a sugar-free journey, a reminder of why we choose this lifestyle is always good. So, how did you get hooked in the first place? Well, sugar binds itself to the same opioid receptors that drugs, alcohol and tobacco do! Following the fat-free ‘revolution’ in the 70’ies much of the fat in processed foods was replaced with sugar. This, unfortunately, means that there is added sugar in most processed foods. So, the generations growing up after the fat-free ‘introduction’ never really stood a chance of not becoming addicted in our modern and very convenient world. If we had all stuck with making everything from scratch like previous generations did, we probably wouldn’t be facing the global obesity epidemic that we are today. The majority of this sugar consists of fructose and glucose. Glucose is produced in our bodies and ingested through food and beverages and can be naturally broken down by every cell in the body. Glucose is the main energy source for our brain and for various processes in the body. We NEED it. Fructose, however, is not essential and can only be broken down in the liver. Small amounts are okay as the liver can handle it and turns it into glycogen which is stored until it’s needed. If we flood our bodies with fructose the liver can’t keep up though and it’s forced to convert the fructose into fat which can cause havoc on our bodies in a multitude of ways (from tooth decay and obesity to fatty liver, diabetes, kidney failure, erectile dysfunction and heart disease). Natural fructose ingested through whole fruit is okay (as the fibre slows it down from being absorbed too rapidly in the bloodstream causing a spike in blood sugar). Juice is the one to stay away from. Juicing fruits hides the bulk that you are drinking. Think about a large glass of orange juice. It could have taken 8 oranges to make – would you ever eat that many oranges in one day? And, as mentioned, it goes straight into your bloodstream. You might as well just inject sugar right into your veins. If you stick with non-juiced fruit, it is really hard to over-eat. Just be careful with dried fruits, it’s easy to be tricked into eating too much because they take up more space than fresh versions and, hence, more concentrated. For these reasons, you will notice that a lot of my baking uses glucose/dextrose (in the shape of glucose powder, glucose syrup and rice syrup). Important to note though is that glucose has a high Glycaemic index (GI) and is not suitable for people with diabetes (instead, please check out my low-carb recipes with no added sweetener, just fruit). Also, please note that even though we need glucose, it is a sugar and an excess can be dangerous, potentially causing obesity, diabetes and a host of other issues. All the recipes with glucose should still be considered a treat (baked goods) although some of them only has low amounts. Just eat sensibly. Generally, many of the recipes that you can find here I only make for special occasions and a fair few of them I created or adapted during my sugar withdrawal because I craved those things I would normally eat. On a daily basis though (when you’re past the withdrawal), the main bulk of my food is wholesome and made from scratch as this is the only way to fully know what goes into your body. Yes, sure, it takes extra time, but as with anything that really matters, good things take time. Dextrose is a form of glucose. Dextrose = D-glucose, hence, the terms dextrose and glucose are used interchangeably. It’s also sometimes called corn sugar, grape sugar, crystaline glucose, wheat sugar, rice sugar or rice syrup. The full name is dextrose monohydrate and it is a simple sugar generated from the hydrolysis of starch, most commonly corn. The corn starch is treated with naturally occurring enzymes (they same as in our mouths) or acid. There is no way around the fact that this is a processed product, but at least it simulates natural occurrences (when we eat starch, it’s hydrolyzed by enzymes and broken down further by stomach acids to for example dextrose). Wait, hang on – I thought this was a sugar-free blog? I’m glad you asked. There are so many people, blogs, sites and books out there now with a “sugar-free” label. Despite that label, you may often find the following sugars in the recipes: Agave nectar, honey, brown rice syrup, glucose syrup, dextrose powder. Read about agave nectar here (to be honest, I fail to see this product as being healthy for anyone) and read about honey here (depends if you are overweight, diabetic or neither, but generally avoid it). So, the main bulk of my family’s diet consist of healthy, unprocessed, home-made foods and I only sweeten with fruit such as banana and unsweetened apple sauce. 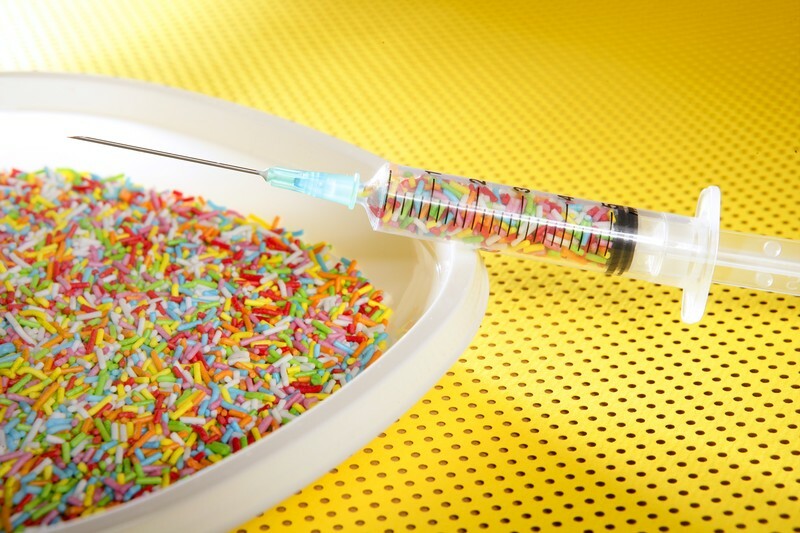 However, when I would like a special treat or have friends coming over, and want to make cakes or muffins, or for physical activity, I do use dextrose (glucose). I am also currently finding out more about and experimenting with the natural (non-blood-sugar-raising) Stevia, Erythritol and Zylitol. Generally glucose for baking and cooking uses comes in two forms: Powder and syrup. The powder looks a lot like icing (powdered) sugar but is not quite a fine and it is only 50-75% as sweet as regular sugar. By regular sugar, I mean caster sugar (or brown sugar or raw sugar) = sucrose. These are all made up of glucose and fructose (usually in a 1:1 ratio). So far (I will keep updating this post when I learn new things), I have found the following (as per David Gillespie’s Sweet Poison): You can substitute sugar straight over for glucose but you need to increase the wet ingredients or decrease the dry ingredients as glucose absorbs more liquids that regular sugar. Furthermore, it seems that if you cook with glucose and it’s not covered (e.g. as in my granola) you need to reduce the temperature to around 160C (320F) as it will otherwise get a burned taste, however, if the glucose is mixed into for example cake mix, I have had no problems or burnt taste from keeping the temperature at 175C (350F). In pretty much ever other regard when it comes to baking, it acts exactly like regular sugar. From my experiments I have so far found that you can swap this for honey in any recipe where the honey is used to make the end product sweeter (obviously honey has a distinct flavour which you don’t get from the syrup). Liquid glucose tastes sweet, but not as much as honey, however, it certainly is as thick and sticky!!!! In contrast to glucose powder which absorbs moisture (and therefore needing extra liquids added to a recipe), glucose syrup keeps the baking moist and soft (and keeps it from going hard) as long as you don’t use too much, then it goes sticky. It is also often used in icing and ice cream to keep it from going too hard and give it that smooth texture. NOTE: Glucose syrup is commonly derived from corn or wheat but can also be made from potatoes, rice and cassava. 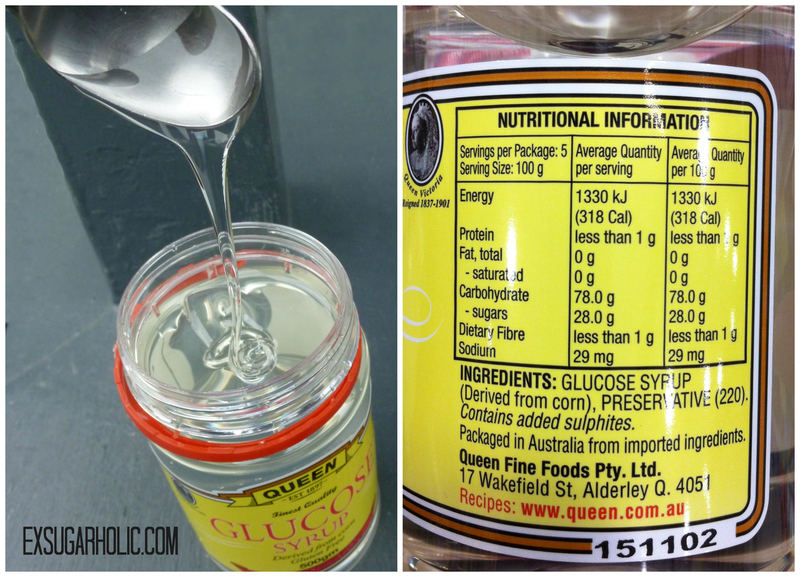 If you have a gluten intolerance or allergy you can safely eat glucose syrup (see more here). What’s the deal with corn syrup? Is it the same as glucose syrup / liquid glucose? Yes and no. Well that was helpful right? The thing is, it depends on who defines it, the retailer and the country. In the US, glucose syrup is often called corn syrup because, in the States, it’s most frequently produced from corn. Makes sense, right? So, glucose syrup can be corn syrup but corn syrup isn’t necessarily glucose syrup. The difference is that corn syrup often has fructose added and the water content is slightly higher. So, if a recipe calls for corn syrup and you can’t get a hold of it, because it’s too expensive where you live or because you are avoiding fructose like me, just use glucose syrup instead and add a little extra water to the recipe (like a teaspoon or two). I find it easiest to remember that glucose swaps for regular sugar and glucose syrup swaps for honey. However, keep in mind that glucose is less sweet. I have tried quite a few recipes doing this straight swap and ‘sugarholics’ liked them all the same. Myself, now that is a different matter. I actually don’t feel much like sweet things (wow, it feels nice to be able to say this), so when I fancy an occasional treat, I will make a recipe with only 1/4 of the sugar that you would put in a traditional recipe. I now find the amount I used to crave sickly sweet. Most of the recipes I have on my blog are a happy medium – sweet enough to bring along to visit friends (who will like it) and not too sweet for myself 🙂 So, if you are a fellow ex-sugarholic, you may be happy with the recipes as they are or possible cut down on the glucose (don’t forget to leave out a bit of liquids if using the powder version). In the opposite end, you could be a massive sugar fan and want to add in more (and then needing to add some liquid ingredients if using the powder version). 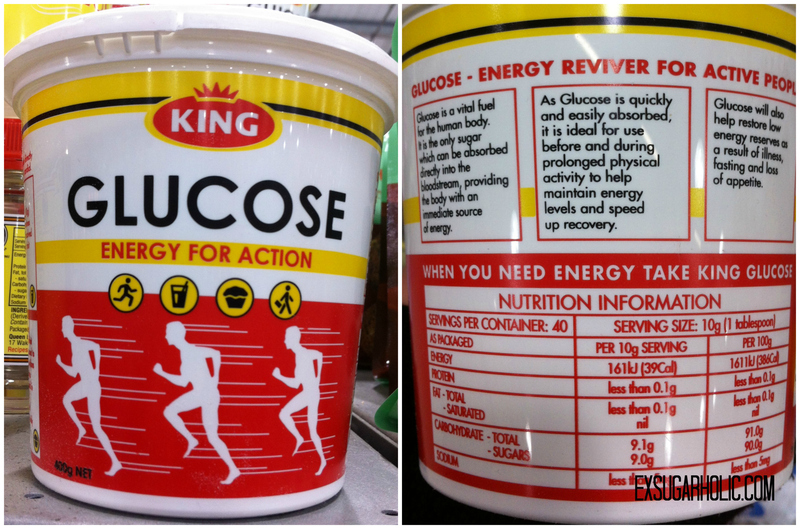 Where can I buy dextrose / glucose? Where you can buy dextrose depends on which country you live in, but in most places you may find it at super markets, speciality stores and home brew shops (it’s used in beer and cider brewing too). 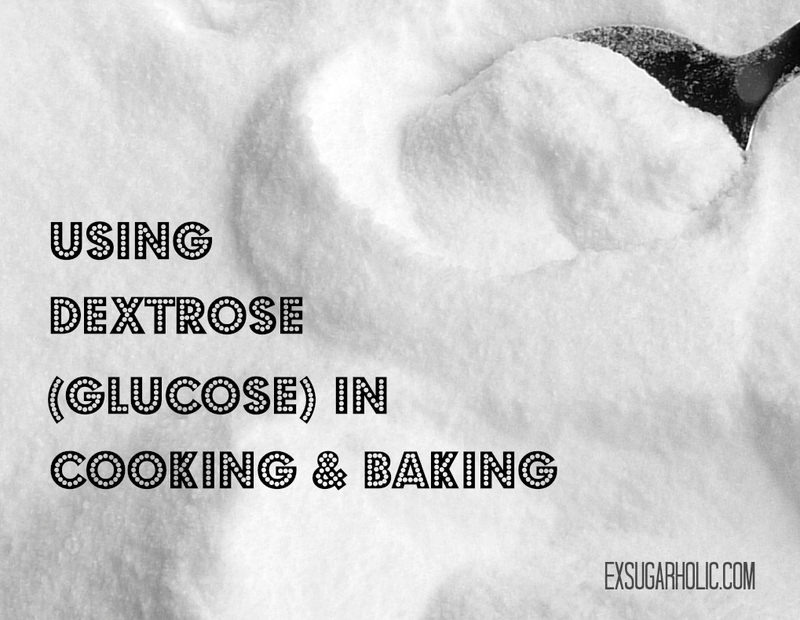 Need some recipes using dextrose / glucose? I can recommend trying the recipes in the book Sweet Poison Quit Plan by David Gillespie – I have been using some of his tips and tried a few recipes. The only thing is that, for me, the recipes take some adaptation to be gluten and dairy free too (but hey-ho, I’m practically an expert in that now).